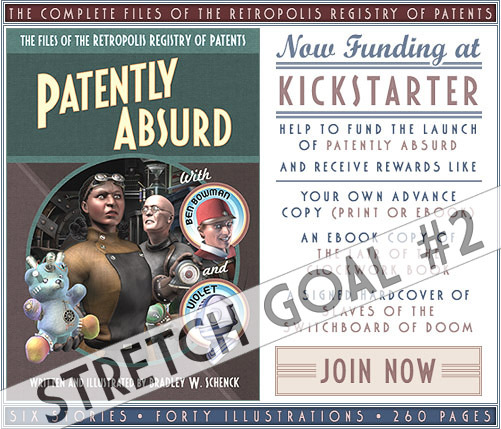 The Kickstarter project for ‘Patently Absurd’ is now live! The Kickstarter project for Patently Absurd is now live and it’s eager to talk to you. You can meet it here. Tell your friends, your families, and strangers on the street.